The MMSD-XCES0 MagicMount™ Select vertical dash mini offers Scosche quality, at an exceptional price. 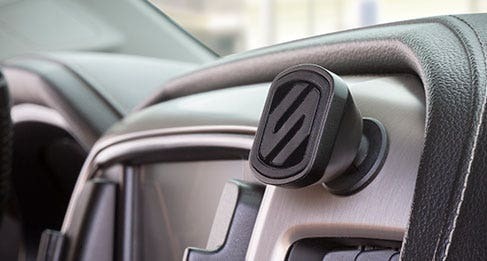 This miniature mount conveniently mounts your Smartphone and other devices to the dash in your car, home or office. At only 1.5” wide x 1” tall, easily store it or take it with you. 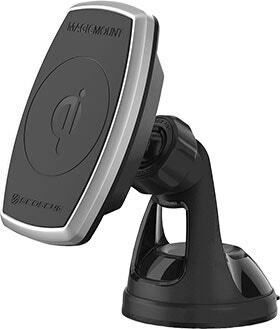 Lock your device in place with this dash mount featuring a 4-Axis, adjustable neck, which rotates 360-degrees to find an optimal view from any seat. Its cradle-free design eliminates the need to tighten around your device, just hover your device near the magnetic surface and instantly lock it in place. Powerful, neodymium magnets hold your phone and device securely in place even on the bumpiest roads and are 100% device safe. Use the strong, automotive grade adhesive to ensure an optimal mounting to almost any flat surface. Includes one mount, two automotive grade adhesives, one large and one small MagicPlate, one protective film, one alcohol cleaning wipe and one user manual. The round smaller plate is designed to be compatible with the PopSockets® grip; just pop the cap, drop the plate inside and reinstall the cap and magnetically connect with any MagicMount. 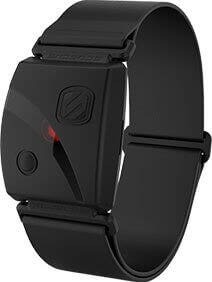 It’s backed by Scosche’s Lifetime Tech Support and 1 Year Warranty.